SwitchVPN is a VPN providers based in India. 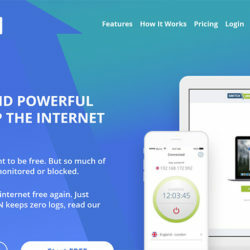 SwitchVPN has been providing VPN services to China users since 2010 and it claims to have their network optimized for China. In addition to common payment methods, it also accept Alipay and UnionPay from customers in China. SwitchVPN has servers in 17 countries, including USA, UK, Singapore, Hong Kong etc. It supports the following connection protocols: PPTP, SSTP, L2TP and OpenVPN.